Since its inception, the Air Force 1 has been a continual innovator. The Air icon brought Nike Air cushioning technology to the hardwood, paving the way for an entire generation of performance basketball footwear. Since then, the silhouette has transcended the world of hoops to become a cultural icon all over the globe. 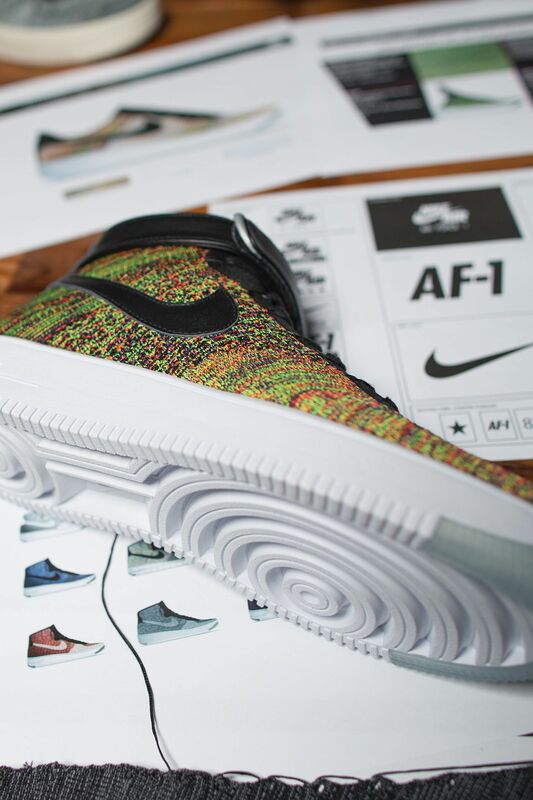 Now enter Nike Flyknit technology, and the future of the Air Force 1 is as bright as ever. 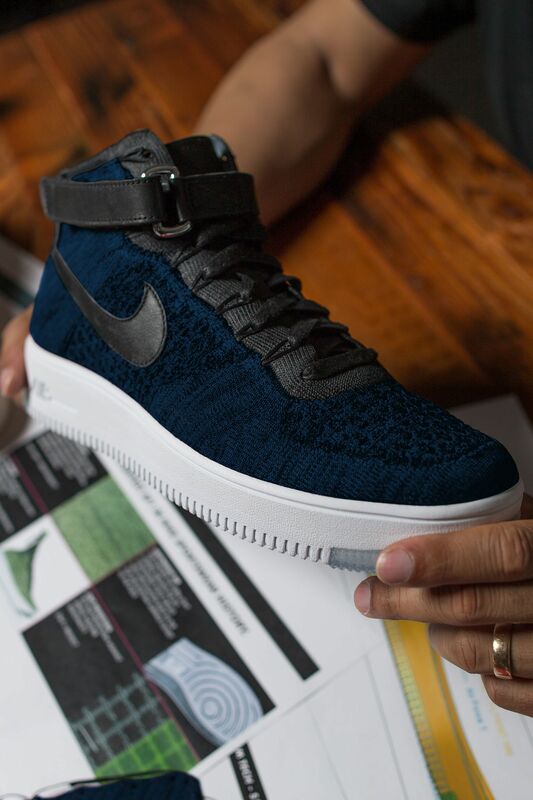 Crafting a new look for the Bruce Kilgore-designed Air Force 1, Nike innovation has been applied from top to bottom. 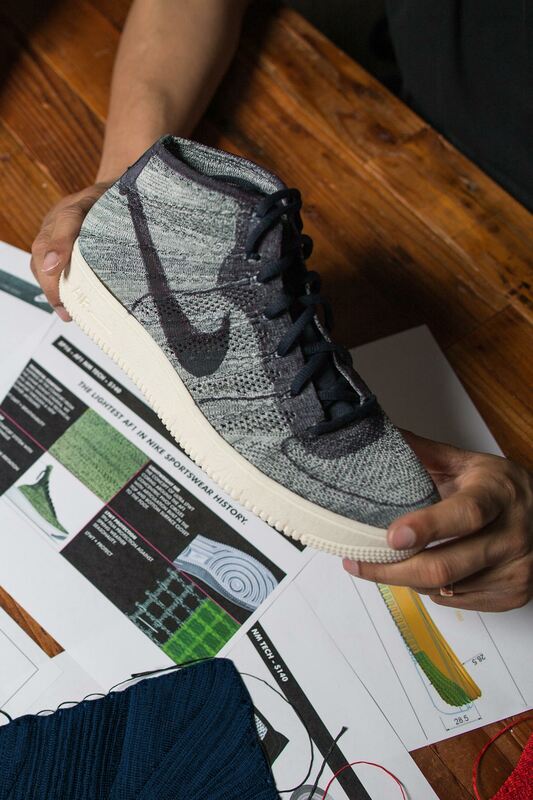 For the designers and minds behind the Air Force 1 Ultra Flyknit, the concept began with maintaining the recognisable Air Force 1 DNA and making it better. Better comfort and a better fit, utilising the most beneficial Nike innovation. Jonathan Johnson-Griffin, the mind behind the new-look Air Force 1, remembers the thought coming about during a team trip to Paris, where they challenged themselves to wear a traditional Air Force 1 for the entire trip. "Once we really started to wear it, it gave us the opportunity to say, 'Alright, how can we refine this icon?'. 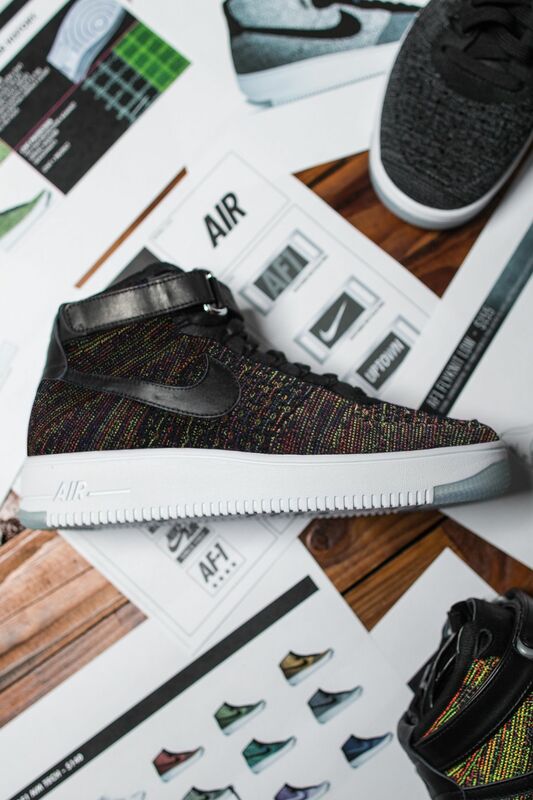 This is where Nike Flyknit and Nike Ultra technology came in: trying to make a more lightweight, better fitting Air Force 1." Johnson-Griffin recalled. Nike Ultra technology and cutouts in the classic outsole design not only help reduce weight, but also encourage greater natural motion. 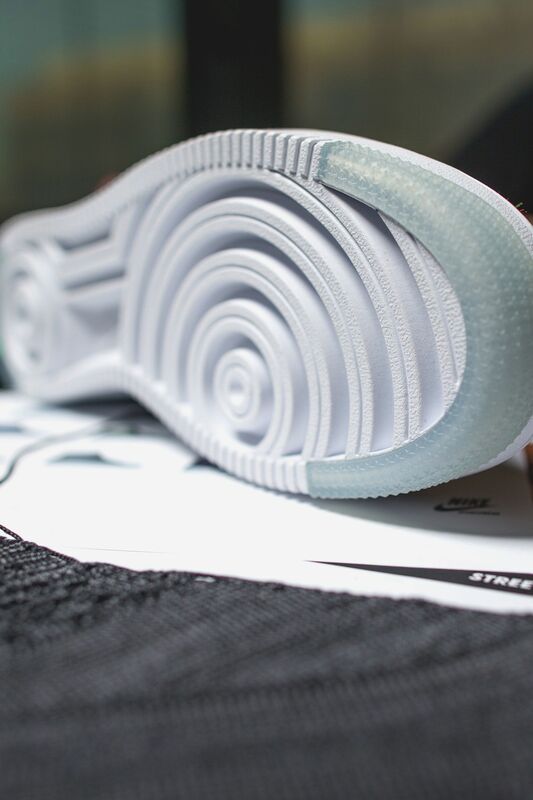 "We really wanted to maintain the actual identity that we have with the AF1, but what we did was take some of the learnings from Nike Free and added primary, secondary and tertiary flexibility." The addition of Nike Flyknit also puts forward a unique perspective thanks to the innovative construction process being a zero-waste proposition. "The Air Force 1 has been one of the biggest models of all time for Nike, and with the Air Force 1 Ultra Flyknit, think about the amount of waste we will be reducing in the lifecycle of the company," said Johnson-Griffin. "If the shoe becomes more sustainable and creates less waste, it ultimately starts to change the look of the future." Aside from reducing weight and creating a better fit, Nike Flyknit also provides the opportunity to craft some of the most unique colour schemes ever. "From a colour perspective, every single stitch on a Nike Flyknit shoe can be engineered and coloured." Born in 1982, the Air Force 1 has evolved over the last three decades. Now updated with a Nike Flyknit construction and Nike Ultra tooling, the icon of Air is prepared to continue its legacy as the modern legend.